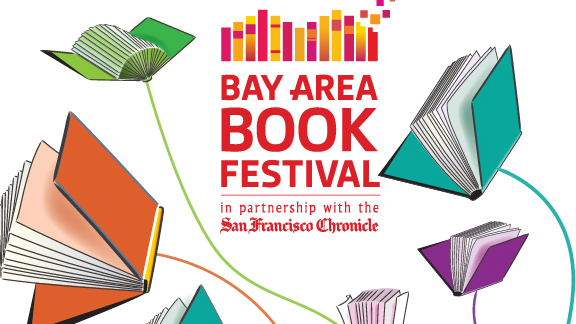 The Bay Area Book Festival has moved its date but kept its exceptional programming. Over the weekend of April 28th and 29th, 2018, the fourth annual Bay Area Book Festival will fill downtown Berkeley (CA) with a literary extravaganza that offers pleasure to anyone who has ever loved a book. Whether you’re a fan of science fiction, mystery, or history, of fiction or memoir, of poetry or food writing, of children’s literature or science, come experience one of the best book festivals on the planet! Tickets for the Festival and/or individual panels and talks are now available. Get tickets here. In addition to panels and talks, there will be booths. Mystery Writers of America, NorCal chapter will have a booth with author signings. Be sure and check the booth when you arrive for times and signings. Here are some panels of interest to mystery readers. Several of the panels are sponsored by Mystery Writers of America, Northern California Chapter. Catherine Coulter, No.1 New York Times best-selling suspense writer and author of 82 novels (almost all of them New York Times bestsellers! 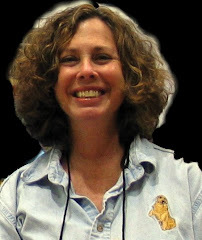 ), is interviewed by Mystery Writers of America NorCal president Laurie R. King, herself a bestselling author of 25 novels. These two remarkable writers will talk about Coulter’s journey from Regency romances to FBI thrillers, the research she does for her widely varied stories, and her craft, art, and life of writing. The plot for the perfect crime may very well reside in the minds of these three cunning women. This panel of authors will discuss what it takes—and what it takes out of you—to write a complex, compelling, and believable (but un-guessable) crime story. Come plumb the minds of Sara Blaedel (Denmark’s “queen of crime”), Anne Holt (Norway’s best-selling female crime writer), and Icelandic best-selling author Yrsa Sigurdardóttir, as they talk with fellow crime writer Cara Black. How do writers create complex characters? These three authors discuss how they dream up, and then capture on the page, entirely new people who are exceptionally complicated. What narrative strategies do they use to create them? How did the characters develop in the authors’ minds? Don’t miss the complex characters on this panel: Asa Avdic, a journalist and breakout novelist whose debut, “The Dying Game,” is a chilling version of an Agatha Christie ensemble (characters trapped and slowly disappearing) in a futuristic Sweden; Therese Bohman, whose scintillating novel “Eventide” about a middle-aged woman’s life “explores complex inner worlds with great sensitivity and insight” (Kirkus); and Carl Frode Tiller with the “Encircling” trilogy, which endeavors to reconstruct a man’s mind piece by piece after he loses his memory. A Festival favorite returns! There’s no better way to celebrate the Bay Area’s love of noir than to toast mystery writers who have mastered the form. Feel like a bonafide gumshoe listening in on riveting short readings by these modern masters of noir. And while you’re at it, order your cocktail (or whiskey) of choice. It’s high literary tide mark on Saturday afternoon. Three of the smartest novelists working today discuss how fiction explodes the question of how we know ourselves. In “Call Me Zebra,” partly set in Spain, Azareen Van der Vliet Oloomi depicts a heroine on a Quixotic quest; the Wall Street Journal said, “Hearken ye fellow misfits, migrants, outcasts, squint-eyed bibliophiles, library-haunters and book stall-stalkers: Here is a novel for you.” Mark Sarvas’ “Memento Park,” partly set in Hungary, was praised by Salman Rushdie as “a gripping mystery novel about art that is also a powerful meditation on fathers and sons.” Norwegian writer Carl Frove Tiller has written a trilogy whodunit about a man who’s lost his memory and reconstitutes himself via letters from friends telling him who he is; you can imagine how that turns out. Said Kirkus, “A wholly satisfying story about how unreliable narrators tell tales not just about events, but about our core emotions.” Who are you? Come explore how we know ourselves. One of the most popular sessions at the Festival returns for its fourth year. Traveling all the way from Scandinavia and Iceland to join us today, these authors will illuminate why their books—which situate grisly stories of murder and chaos in frigid regions—have the enduring power to captivate audiences worldwide. From Denmark, Sara Blaedel will discuss her internationally best-selling and female-led Louise Rick and Ilka Jensen series. Norway’s best-selling female crime writer Anne Holt will consider how her years working for police departments and as a lawyer have influenced her work. Finnish crime savant Karo Hämäläinen will let us in on how he became “a wicked and controlled writer who rarely allows his readers a moment of peace” (Toronto Sun). Hear from Icelandic best-selling author Yrsa Sigurdardóttir, who The Times UK said “is ensconced at or near the summit of Nordic crime writing.” And learn how Danish physician and thrill-master Steffen Jacobsen uses his talent for the macabre to create gripping reads. Thank you for this information! I booked two of the Yrsa Sigurdardóttir sessions. So excited! I wouldn't have even known about this but for your posting - I'm booked up for two days! Thanks!